Oct 6, 2014 - N.A. The property showcases the exclusive custom building industry's highest quality construction from Rodeo Homes, exquisite heirloom and art-quality finishes selected by interior designer Robert Ricker and spectacular architecture from the renowned Richard Krantz. In addition to the grand-scale six bedroom, 7 full bath and 5 half bath main residence, the estate includes a guest house and resort-inspired grounds with pool, spa, outdoor kitchen, putting green and formal gardens. 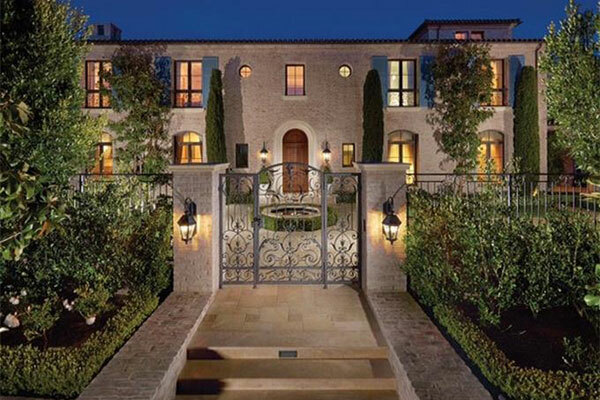 Spanning four levels serviced by an elevator, the main house incorporates an opulent master wing, large secondary suites, two chef's kitchens, an indoor three-point regulation basketball court, fitness center, and subterranean garaging for eleven cars. As eco-minded as it is elegant, the residence has been constructed and finished with non-toxic materials for healthful living; inclusive with whole house hepa air filtration system, all of the woodwork is hardwood with no MDF, and no fiberglass in the insulation. Enjoy world-class amenities of Crystal Cove, including 24-hour guard gate, swimming, fitness and tennis facilities, playgrounds, and access to the region’s best schools and Crystal Cove State Park. 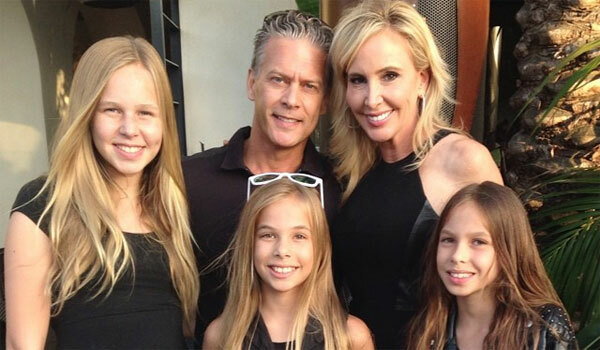 Shannon and David Beador with their daughters in front of their custom-built OC home. LEFT Memorial day BBQ with Beador family & friends layout out by the pool area. 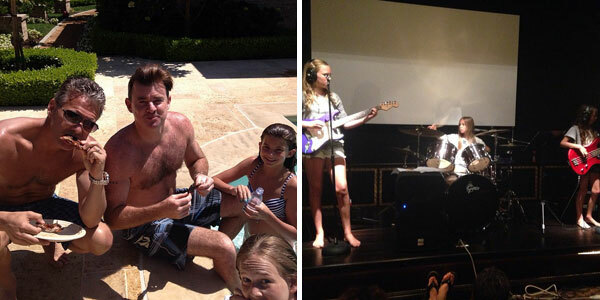 // RIGHT The Beador daughters perform in the family’s massive theatre room for there guests at the Memorial Day BBQ event. LEFT The Beadors celebrate a ton of different events at their beautiful estate and this, Aunt Vicki’s birthday, is just one of many, “The best thing about our family home is the people & memories we share within it” – Shannon Beador // RIGHT Shannon Beador seeks inspiration for their family décor from places like this great read, table book by Sandy Espinet, on “The Well Traveled Home." 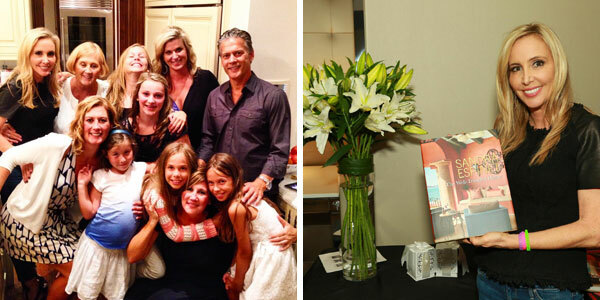 Shannon is at a book launch event supporting her favorite home décor designer. 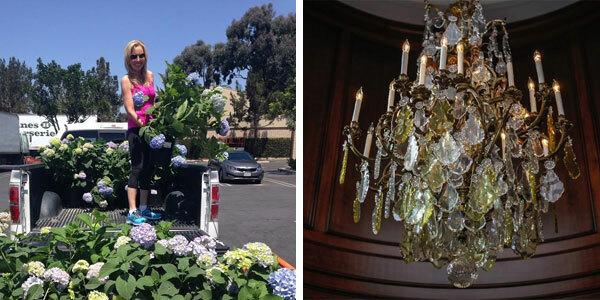 LEFT Shannon Beador leaves her favorite nursery in OC with the handpicked floral touches to add to her personal favorite part of the home, which is her landscape and gardening – feng-shui inspired. // RIGHT The chandelier hanging in the foyer is one of their most showcased features of the home, a personal touch of which they are quite proud. Q: What could you tell the future home owners about the home, that you would want them to especially enjoy? A: They will enjoy what they cannot see - No toxins! No EMF radiation, hospital grade air, no toxic finishes, no fiberglass insulations and more. 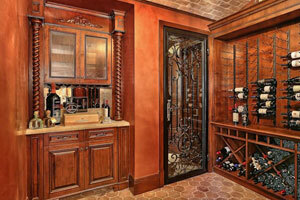 Q: What was the inspiration behind your homes Décor? A: I wanted to use antiques and collected chandeliers and furniture from over the years , so that each piece had its own story. Q: What is the best memory, or event shared within the home? A: We filmed for my first season of The Real Housewives of Orange County. Q: What will you miss the most about the home, and why? A: We have a large piece of property, which is rare in our area , and I will miss the classic landscaped grounds. Q: Best feature of the home, and why A: We have a 3 point regulation basketball court in the basement, and it is used everyday for basketball practice!